What’s the difference between all these pads? Which ones should you get for your bike and your type of riding? 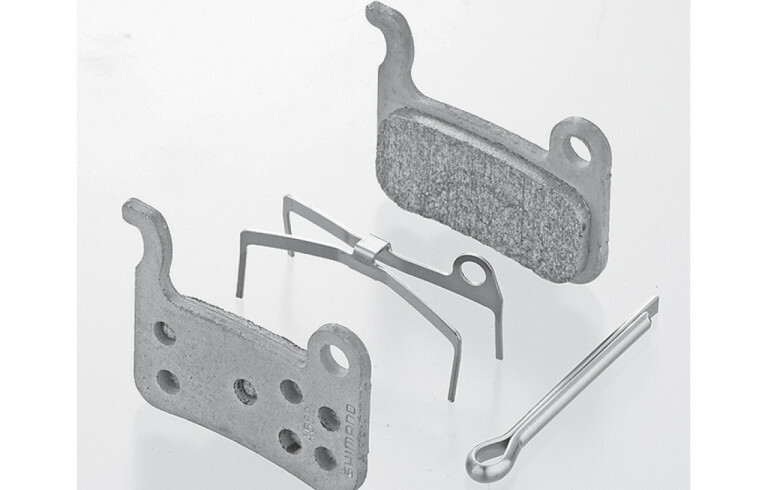 There are a lot of different variables with disc brake pads, both for Road and MTB. 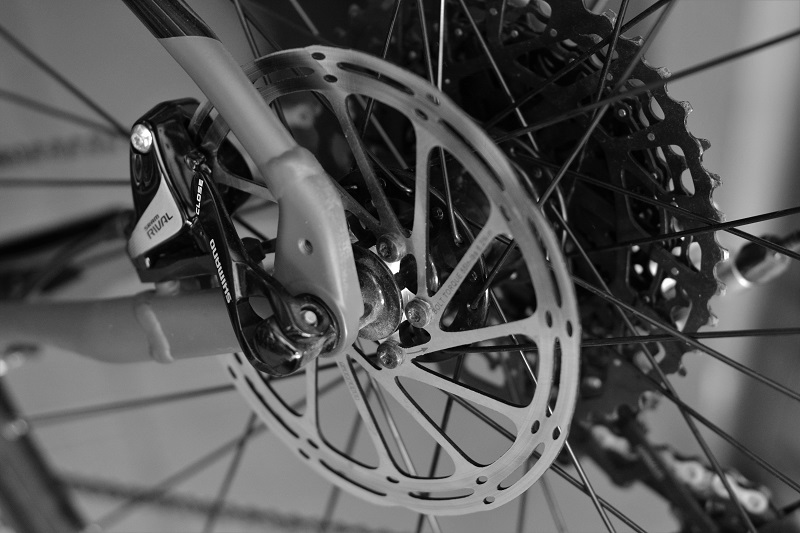 Not only do you have to get the correctly shaped disc pad that fits your particular brake caliper, but you also have to choose what sort of compound you want the pad to be made of. Different brake calipers have different shapes and different methods of holding the pads in place. Thankfully getting the correct shaped pad is pretty obvious. Look at what your brake is called (it’s usually written on the lever reservoir and/or the caliper body) and then find a disc pad of the same name. If the model names don’t quite match or are incomplete, take your exisiing pads out and double-check the shape of them compared to the potential replacement pads’ shape. Each of these three compounds has their own benefits and disadvantages. Their is no perfect brake pad for every rider or type of riding. You can’t really tell what compound a pad is just by looking at it (well, unless you’re a real pad geek anyway!) so you’ll need to check the product description or packaging carefully for information. Decent bite feel and modulation. A lot of experienced MTB riders run a sintered pad in the rear brake and an organic pad up front. The rear brake requires less power and feel so it makes sense to prioritise durability. The rear caliper also seems to get more filth flung through it so a harder-wearing sintered pad makes sense. 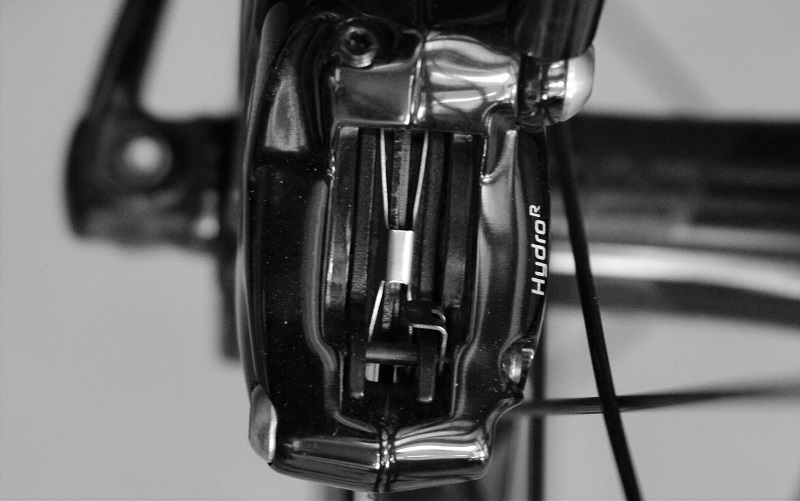 The organic pad in the front brake offers good power and feel, where it is needed most. The trade-off in durability is well worth for most riders. If you want an easy life and only want to buy (and carry) one sort of pad, then go for semi-metal pads. Tempting as sintered pads are – due to their durability – the reality is that they lack power up front and take far too long to bed in. This is when it might be a good idea to run a sintered pad in your front brake – or at least pack one in your kit bag in case your organic pads can’t handle the sustained onslaught. Check your pads have actually run out of pad material. Sometimes they may just be glazed over and feeling like a spent pad. Glazed pads can be brought back to life with a bit of sandpaper or light filing. Before inserting your new pads make sure you re-position your caliper pistons fully back in the caliper. Ideally use a plastic tyre lever to push. If you only have a flat blade screwdriver (or similar) then make you sure you keep your expired pads in the caliper whilst pushing the piston back, this is to protect your pistons from being damaged. It’s a good idea to try to do this task with your bike upright ie. don’t turn your bike upside down, as it may introduce air into the system if you’re not careful. With your expired old pads removed it’s a good time to check the alignment of your brake caliper. Poorly aligned calipers cause weak braking and noisy braking. If the rotor isn’t positioned bang in the middle of caliper mouth, take a few seconds to undo it and re-align the caliper before inserting your new pads. If possible take some time to bed your brake pads in properly. This may not be possible if you’re changing pads mid-ride but if you’re at home or in the car park before a ride then a proper bedding in will reap dividends. Bedding in disc brake pads basically involves riding fast sprints around somewhere flat and smooth and hauling your brakes on hard. Do this a lot – at least a dozen times. Try not to come to a dead halt before releasing the brakes (as this can leave a build-up ‘lip’ of material on the rotor that will take a while to get rid of). It sounds faffy and a bit silly, but bedding in your pads will extend their lifespan – a lot. Tagged brake pads, buyers guide, disc brake pads, MTB Disc, Road Disc, sintered. Bookmark the permalink. 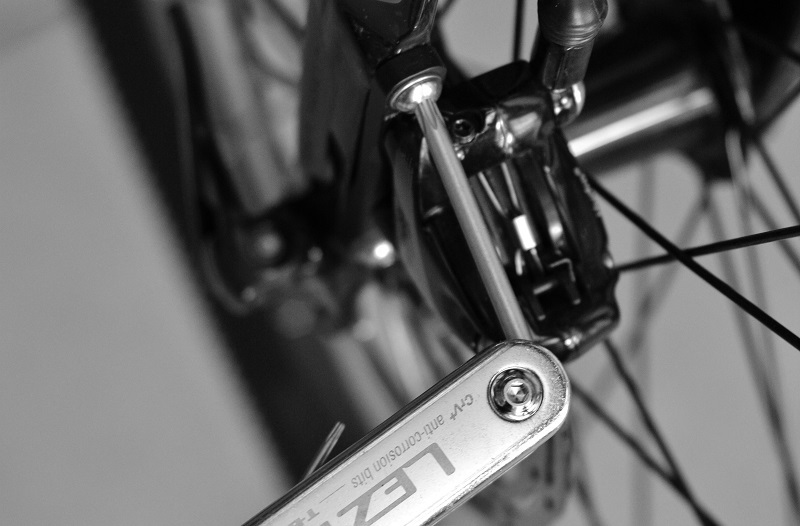 Nice blog for brake pads. All point cover in brake pads and really appreciate.